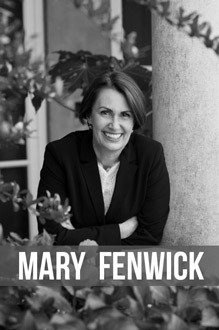 Mary Fenwick has used her background as a journalist to build high-level international relationships. She changes not only individual lives through her writing, coaching and educational fundraising, but her support for women as political leaders is contributing to change in countries in transition to democracy. Mary’s job titles include business coach, public speaker, journalist, fundraiser, and mother of four children aged 21, 20, 18, and 16 years. This year, an engineering student from New Zealand will have a study placement at McLaren Automotive in the UK as the first step in a $10 million fundraising project, invented by Mary. In her work as Executive Director of the UK Friends of the University of Auckland, Mary has initiated and built a relationship with the global McLaren business. The ultimate aim is to create a permanent legacy to Bruce McLaren, who has unjustly faded from prominence in New Zealand. 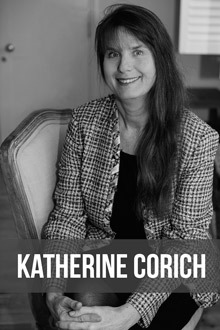 Katherine Corich is a business leader, entrepreneur, mentor, adviser and academic, whose success and influence spans across business, the public sector and charities. Katherine is the founder and chairwoman of the Sysdoc Group, a consulting practitioner business founded in 1986 in New Zealand which today has operations in four regions and has consultant reach in over 72 countries. Katherine’s impact and legacy extends far beyond her success with Sysdoc. She continuously acts as a catalyst for change and development across many industries and organisations across the world. In 2015 she was made a Fellow of the Royal Society of Arts, Manufacture and Commerce at Saïd Business School in Oxford, where she teaches strategic business courses. Katherine’s talent is sought by multi-national organisations across various industries. 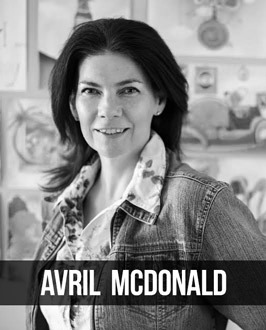 Avril McDonald is passionate about mental health and believes that children should be taught how to manage tough emotions, phobias and neurological patterns early on, after fighting her own battles with anxiety since her early childhood. With her entrepreneurial spirit and relentless drive, Melissa Clark-Reynolds is in a league of her own. Melissa has had a global outlook since an early age, spending her formative years in the US, completing postgraduate study abroad and working in Papua New Guinea, Vietnam and the UK. Melissa is an experienced entrepreneur with a history of successful start-ups - she established her first company in 1992 and hasn’t looked back. She also contributes widely in the international accelerator community, with founder / mentor roles in London, Singapore and NZ. This has led to her representing NZ at the Global Accelerator Network meeting and at the APEC forum to ‘encourage women entrepreneurs’.